The 6-foot-3 University of Kentucky commit has already turned heads with buzzer-beaters and scoring records, even when almost everyone knew Maxey would take the most important shot. He led the Colonels to their first-ever state tournament berth last spring, and Maxey tied the single-game scoring record with 46 points in an 80-76 overtime loss to Katy Tompkins in the semifinals. The Colonels would like a return trip to the 6A state tournament as a curtain call for Maxey. That goal was important enough for him to turn down an opportunity to graduate early and enroll at Kentucky this fall in order to make one final splash at the high school level. Team USA FIBA squad and his AAU team, Houston Hoops, including an improbable come-from-behind win at Nike EYBL Peach Jam in Atlanta. Just as he did for South Garland coach Dominique Parker, Maxey continues to show he isn’t afraid to be the one to take the final shot. “I put in work every day. As long as you put in the work, you will have confidence to take the last shot,” Maxey said after a game-winner for Houston Hoops in a May session of Nike EYBL. That kind of attitude and performance isn’t a surprise for Kentucky coach John Calipari, who was in attendance last November when Maxey calmly sank a buzzer-beating three-pointer at Duncanville. Fans and high school basketball enthusiasts were left wondering for months where Maxey would play college ball and if he would leave high school early. He left the country for the first time in June, playing for Team USA in the FIBA U18 World Championships. The squad, which featured Kansas signee Quentin Grimes, No. 1 recruit Cole Anthony (son of former NBA guard Greg Anthony), and North Carolina signee Coby White, won all six games in Ontario and defeated Canada in the final. Maxey averaged 11 points, 3 assists, and 2.3 steals before a sprained ankle sidelined him for two games. 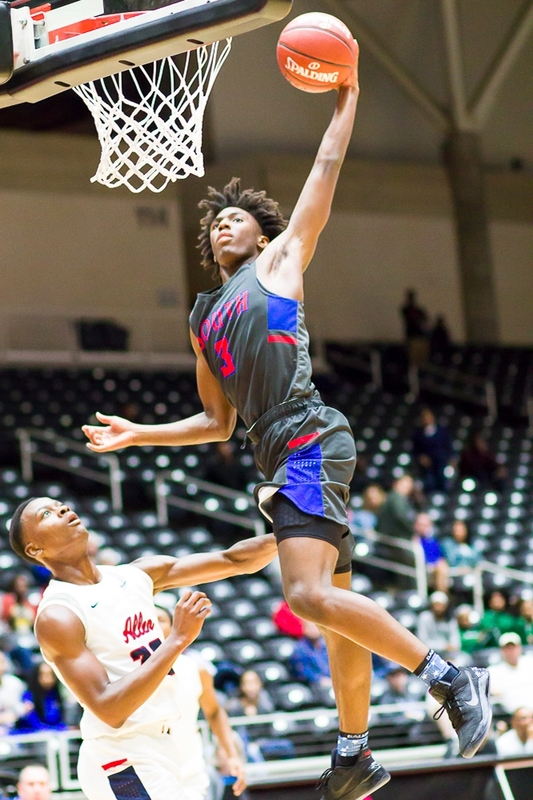 Averaging 22.5 points, 7 rebounds, and 3.1 assists as a junior at South Garland, Maxey emerged as the top recruit in Texas in 2018 and saw his ranking jump from No. 12 to No. 7. He also said, after announcing his commitment to Kentucky, he decided not to reclassify as a member of the Class of 2018 in order to enjoy one more year of the high school game. “I just wanted to be around all of my friends and all of my family one last year, and I don’t want to pass that up.” Maxey also said he would like a chance at becoming a McDonald’s All-American. Nonetheless, he does not hide his dreams of making a quick jump to the NBA from Kentucky. Teams around Texas will have to contend with a scoring threat who surpassed 30 points six times last season. However, scouts and recruiting experts don’t limit Maxey to being only a point producer. Perhaps that’s why Kentucky has the second-best recruiting class in the nation for the class of 2019. The accolades continued in the summer. He earned First-Team All-Nike honors and Defensive MVP for the EYBL league this year, averaging 21.9 points, 5.1 Rebounds, 4.8 assists, and 2.7 steals. 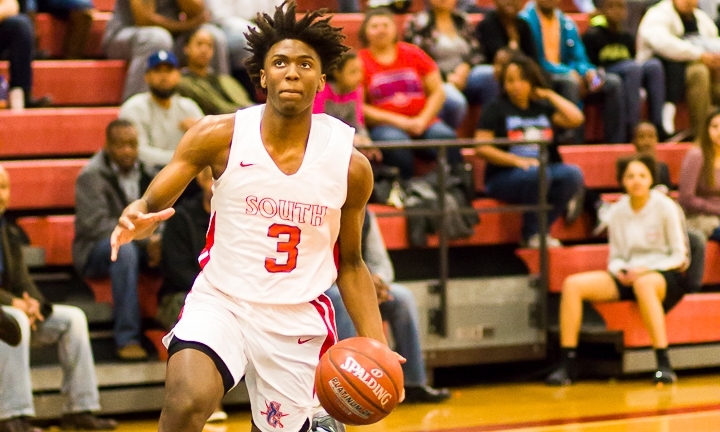 While a broken ankle prematurely ended his freshman year at South Garland, it was a much earlier performance that may have set the tone for Maxey’s potential. As a sixth-grader he overcame a broken finger in his left hand to score 44 points in a league championship game. It was only the beginning of many show-stopping moments expected from Maxey.